Brooks Brothers has been designing men's styles for over one hundred and fifty years, and men have relied on Brooks Brothers to outfit them in the best fashions and highest quality materials. Brooks Brothers eyewear is perfectly suited for discerning men who believe that fashion and masculinity are not mutually exclusive. The Brooks Brothers eyewear collections use clean lines and fashionably understated designs to add unwavering sophistication to any outfit. Due to manufacturer's restrictions, Brooks Brothers products cannot be shipped to Australia. 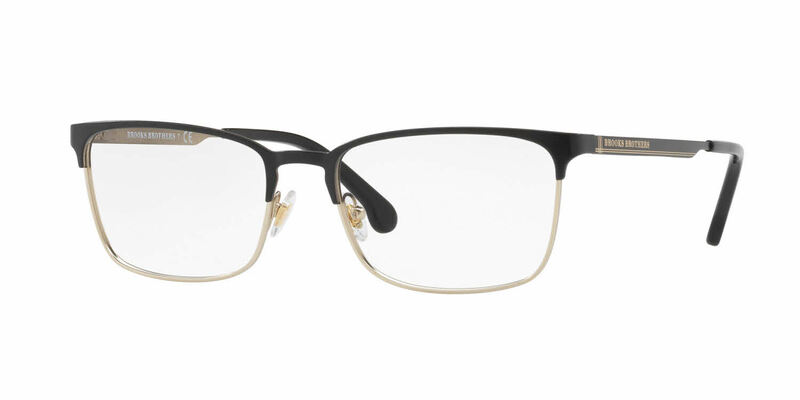 Brooks Brothers BB 1054 is a Full Rim frame for Men, which is made of Metal. The Brooks Brothers BB 1054 Eyeglasses feature the following logo: Brooks Brothers on temple. Brooks Brothers BB 1054 Eyeglasses come with a cleaning cloth and protective carrying case.